The moon faced assassin of joy: Look, this one has a laser! Not for long though. I've done an exact copy of the first gun body I did this week and tagged it up. 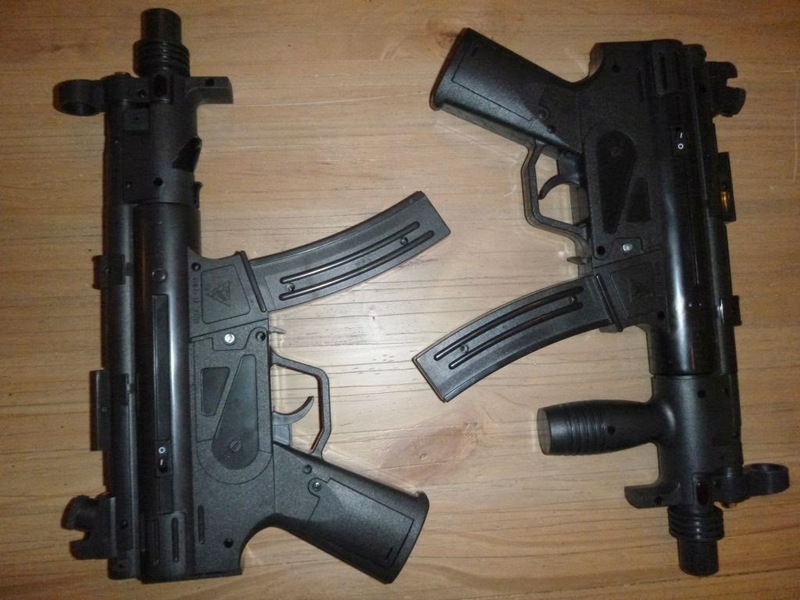 So I now have a matched pair of unlensed MP5K-esque machine pistols to use for the upcoming long weekend of Lasertag games. It may involve shouting "Die motherfucka" a lot. They're very much a cheap and cheerful conversion, but well that was the whole point. 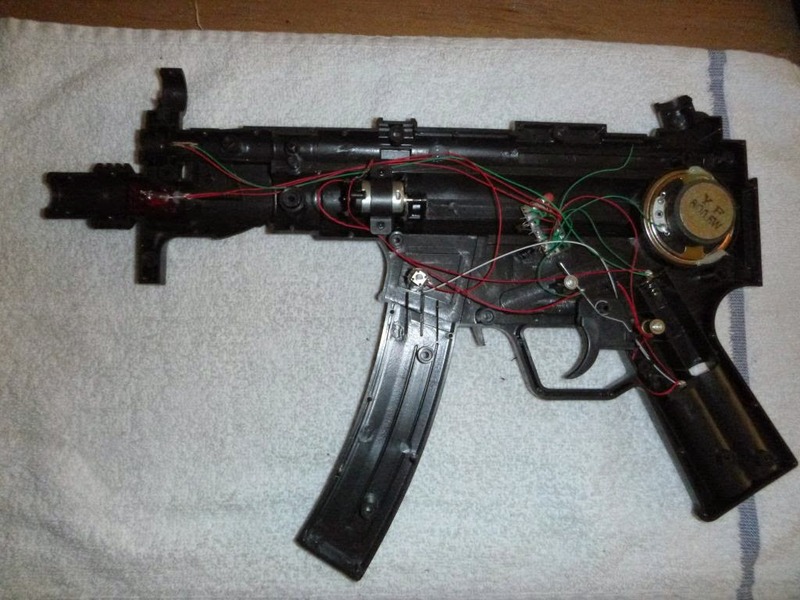 Soon I'm going to have to bite the bullet and make a 'proper' Lasertag gun in the form of a rifle that's got a decent range. Which means bigger lens units mounted very seriously to the body and getting the sights dialled in. Before this happens I have a Mossberg-esque pump action shotgun to build. Which will be a 'proper' build, but an unlensed one again. Before they get used I need to do that 'instant start' code I was thinking about. It really shouldn't take long, so I'll tackle it over the weekend while I'm waiting for some paint to dry on something else.